Torie Kent, owner of the Rockin Hair Body & Soul salon, expanded her business to a new location in downtown Glen Rose and opened a second location in Stephenville. The salons are designed to have a modern industrial style and are located in the downtown square to have a historical aesthetic value. This is helping to create a city metropolitan experience in each salon at a price that people can afford. 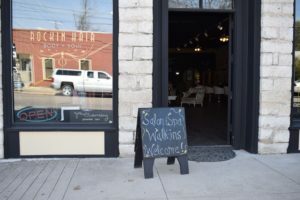 “The atmosphere in the salon is to bring a big city feeling but still have that charm and friendliness in order for people to have that big fancy experience without the $300 haircut,” said Sarah Cole, the manager of Stephenville’s location. Both locations include a full-time aesthetician providing facials, full body waxing, eyelash extensions and even spray tans. 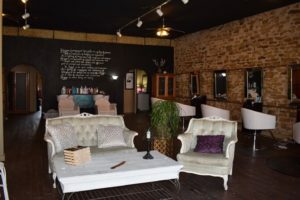 The Stephenville location also has a skilled full-time barber who can use a straight razor to clean up fine lines and put designs in clients’ hair. The salon also tries to make their customer service a step above competitors by offering complimentary beverages and ensuring that clients get a highly skilled stylist. Every employee attends a mandatory training class each month on cut, color, balayage and skin care services. “Every time a client comes in the door, they are going to be treated like a celebrity or a rock star,” said Kent. The Rocking Hair Body and Soul salon is also looking to hire a massage therapist for both locations to provide more services. Anyone interested can contact the Glen Rose location at (254) 897-7111 and the Stephenville location at (254) 434-4643.